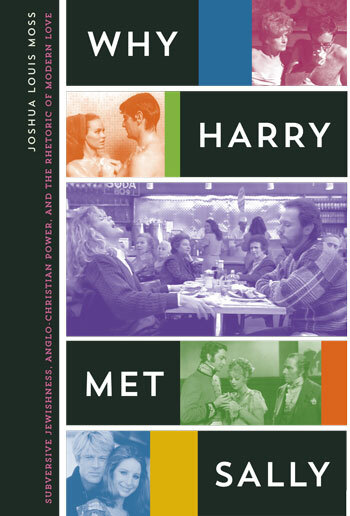 Explicating one of the most potent and recurring mass-culture fantasies, this book explores Jewish-Christian couplings across a century of popular American literature, theater, film, and television. From immigrant ghetto love stories such as The Cohens and the Kellys (1926), through romantic comedies including Meet the Parents (2000) and Knocked Up (2007), to television series such as Transparent (2014–), Jewish-Christian couplings have been a staple of popular culture for over a century. In these pairings, Joshua Louis Moss argues, the unruly screen Jew is the privileged representative of progressivism, secular modernism, and the cosmopolitan sensibilities of the mass-media age. But his/her unruliness is nearly always contained through romantic union with the Anglo-Christian partner. This Jewish-Christian meta-narrative has recurred time and again as one of the most powerful and enduring, although unrecognized, mass-culture fantasies. Using the innovative framework of coupling theory, Why Harry Met Sally surveys three major waves of Jewish-Christian couplings in popular American literature, theater, film, and television. Moss explores how first-wave European and American creators in the early twentieth century used such couplings as an extension of modernist sensibilities and the American “melting pot.” He then looks at how New Hollywood of the late 1960s revived these couplings as a sexually provocative response to the political conservatism and representational absences of postwar America. Finally, Moss identifies the third wave as emerging in television sitcoms, Broadway musicals, and “gross-out” film comedies to grapple with the impact of American economic globalism since the 1990s. He demonstrates that, whether perceived as a threat or a triumph, Jewish-Christian couplings provide a visceral, easily graspable, template for understanding the rapid transformations of an increasingly globalized world. Moss is an assistant professor of screenwriting and media studies at California State University, Chico. He has also worked as a show creator, writer, producer, and executive producer in the entertainment industry for such companies as ABC, MTV, Rhythm & Hues Studios, and New Line Cinema, and is a member of the Writer’s Guild of America, West.